Dr Vanessa Guthrie is a highly accomplished Executive and Director with a career spanning thirty years in the resources sector in diverse roles such as operations, environment, community and indigenous affairs, corporate development and sustainability. Vanessa has qualifications in geology, environment, law and business management including a PhD in Geology. She was awarded an Honorary Doctor of Science from Curtin University in 2017 for her contribution to sustainability, innovation and policy leadership in the resources industry. Vanessa is currently Chair of the Minerals Council of Australia, Deputy Chair of the WACA and a Director of the ABC. 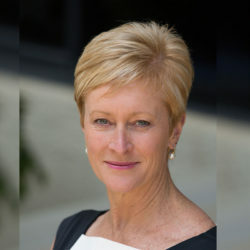 She is an active member of the Australian Institute of Company Directors and Chief Executive Women (CEW), and a Fellow of the Australian Academy of Technological Sciences and Engineering (ATSE). In 2013, Vanessa was recognised by the mining industry as the Outstanding Professional Woman from the WA Chamber of Minerals and Energy and was one of the world’s Top 100 list of inspirational women in mining globally. Margaret Reynolds has been pivotal in establishing ABC Friends as a national organisation, and her parliamentary experience, knowledge and contacts have been invaluable in our efforts to influence members of Parliament of all political persuasions to support a properly funded and independent ABC. Margaret was elected as a federal Labor senator for Queensland in 1983. Four years later she became the Minister for Local Government and, in 1988, the Minister assisting the Prime Minister for the Status of Women. She was appointed to the Aboriginal Reconciliation Council and was directly involved in developing native title legislation following the Mabo decision. She remained in Parliament until 1999. Margaret is the author of two books, The Last Bastion, Labor women working towards equality in the parliaments of Australia (publ. 1995), and Living Politics (publ. 2007).